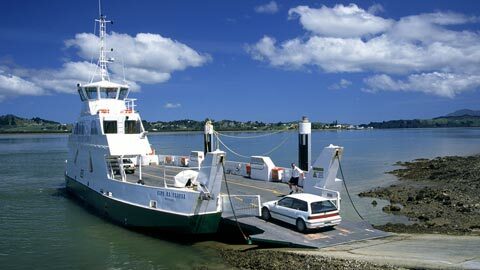 Sail the Kohu Ra Tuarua from picturesque Rawene across the scenic Hokianga Harbour. Travel on by road through Kohukohu and Broadwood to Kaitaia, Ninety Mile Beach and Cape Reinga. Travel south to Kohukohu, board the Kohu Ra Tuarua to Rawene, then drive on to the beaches of Opononi and Omapere and the giant Kauris of the Waipoua Forest. 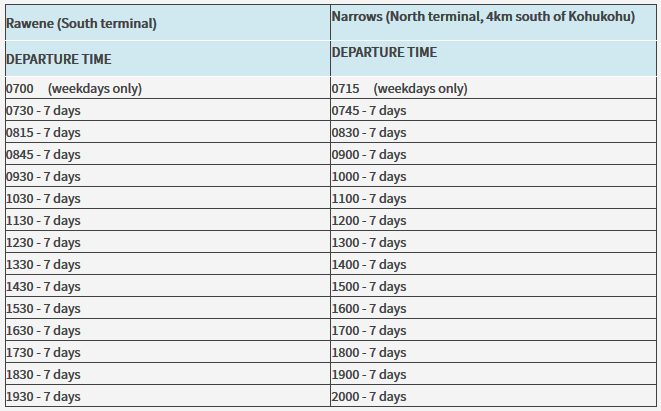 The ferry sails every day – the timetable applies even on public holidays. Just turn up – bookings not taken! Tickets are purchased on board the Ferry. Payment may be made in cash or by using the on-board ATM machine which accepts EFTPOS cards and VISA or MASTERCARD credit cards. The machine does not dispense cash.